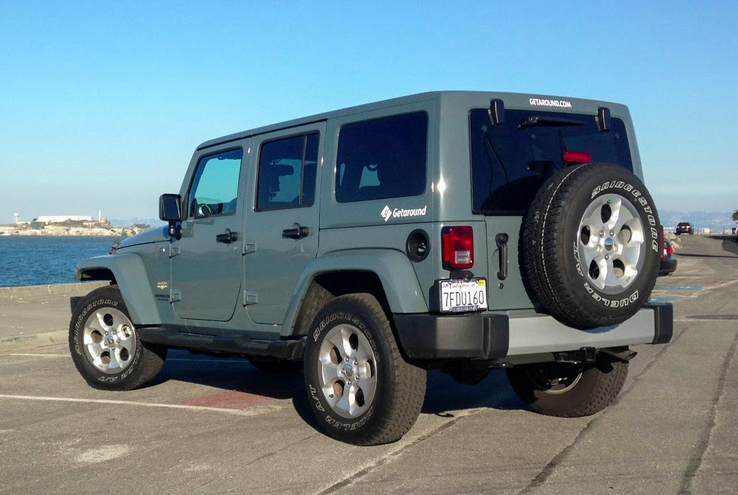 Upon a recent trip to San Francisco, I needed to rent a car. After tapping up the usual suspects I realised that I didn’t want the burden of looking after a car for the whole week. For one, parking in SF is a nightmare, there are just too many cars. And secondly, I only needed to drive a few times over the course of a week so it felt wasteful. Then google pointed me in the direction of Getaround, a car renting app, which is definitely going to disrupt the car rental space the same way Airbnb has for accommodation. Getaround lets you rent any car that’s signed up to the service, by the hour for a fixed price. You literally book through the app, locate the car you want and unlock it with your phone. Effortless. But, really. I’m a big worrier. But what about insurance? What if I get locked out? Will my phone really unlock a car? But then the internet set my mind at ease. And so I booked. During my week in SF I rented three times, so I feel this is a pretty good litmus test of how well the app and whole experience worked (amazing, if you can’t be bothered to read further). My first car was a black BMW S3 series — it was the closest to where I was staying and had a designated parking spot. The second car was a Jeep Wrangler (ridiculous, I know) and the third was a zippy little new Fiat 500. Each time I booked, I found the car, drove to where I needed to get and then back again. Totally hassle free. I even panicked one of the nights because I couldn’t find a space to park the car so I left it a few blocks away from where I found it. It was 11:30pm and I didn’t want to disturb the owner of the car so I called get around’s support line. They logged it, passed the message on to the owner and just like that it was all fine. The app itself is really straightforward. There was a slight issue with the functionality when you report damage on the car when you first arrive. Whilst my photos uploaded, the button at the top remained highlighted as ‘submit’ so I wasn’t sure if my photos and feedback on the state of the car were received. But aside from that, the whole experience is so well crafted and enjoyable. Car owners can make extra cash and drivers in need of wheels can find a suitable vehicle near by. It’s collaborative consumption as its finest.